Millions of Americans face substance abuse and addiction annually. Recognizing the signs of addiction is an important step in helping a loved one receive the necessary help to recover and heal. The three main signs of addiction can be tough to spot. However, it’s vital to understand them so you know when to reach out for help. What are the Three Main Signs of Addiction? Addiction can affect anyone from any background or age group. However, substance abuse and addiction affect people in very different ways. Not everyone responds the similarly to these problems. However, the three signs of drug addiction below always warrant further investigation. Tolerance refers to the body’s ability to acclimate to the effects of specific addictive substances. As a result, a person using drugs or alcohol will continue increasing use frequency and dosage in order to experience the same physical effects. Overall, tolerance is a vital clue to the development of a serious addiction problem. As teens and young adults begin to abuse addictive substances, these substances have a powerful effect on the brain. Consequently, they’ll experience difficulties controlling impulses or realizing the consequences of their actions. As a result, those facing addiction often display dangerous or self-destructive behaviors. In many cases, teens and young adults believe they can stop abusing addictive substances whenever they choose. However, attempting to stop is often met with bothersome physical symptoms that display physical addiction to the substance at hand. For example, the individual may experience mood swings, headaches, vomiting, insomnia, seizures, or even psychotic behavior as a result of stopping or lowering their use. 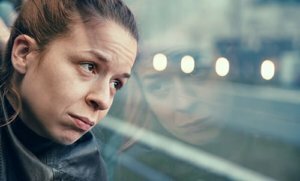 While there are many other physical, emotional, and behavioral signs of drug addiction, the three main signs mentioned above should always be taken seriously and investigated further. Above all, addiction recovery is always possible through professional treatment. Why Is Reaching Out for Professional Treatment Essential? For the majority of teens and young adults suffering from addiction, the recovery process can seem difficult and isolating. Overcoming a serious addiction is not an easy task, but reaching out for help is always a sign of courage. Overall, the majority of people struggling with these problems require professional assistance to overcome them. Zelus Recovery is a quality addiction treatment facility which provides in-depth assistance for adolescents and young adults. Zelus Recovery is located in Meridian, Idaho. By focusing on early intervention techniques, family programs, and intensive outpatient program, Zelus Recovery can help those suffering from substance abuse break free and find happiness and fulfillment once again. Don’t allow addiction to control your life. You can overcome your addiction by seeking professional help from a high-quality drug rehab facility. Contact Zelus Recovery today at 866-365-4436 to find out how we can help you down the road to recovery. PreviousPrevious post:Common Drug Withdrawal SymptomsNextNext post:What Is Behavioral Therapy?